Our hope for German Shepherd Rescue: to help save as many purebred GSD's and German Shepherd Dog mixes as absolutely possible from the problems of abuse, neglect, injury, illness and premature death. Adopt a German Shepherd in your area... We want to help give these deserving dogs a second chance to have the best life possible through adoption, referrals, rescue and/or behavior counseling. We at Total-German-Shepherd.com want to help spread the word about GSD rescue and all it's benefits! If you have any contact information for a German Shepherd specific rescue organization, please send their information to us via the contact form below and we'll list them below for free (as long as they meet our standards). It's really a shame that the majority of the dogs that end up in rescue in the first place are unwanted simply for being German Shepherds. Many new GSD owners often find that they were unprepared for all the care required for this wonderful dog in the first place. More than likely, the dog was an impulse buy or maybe even a gift but it's a shame that the proper research wasn't done in the first place to truly understand the nature of the breed, and all the qualities that innately make a German Shepherd a German Shepherd in the first place. Oftentimes owners are often gone all day long, and therefore unable to provide the dog all the necessary time, attention, training and socialization needed to adequately maintain a happy and stress free co-existence. 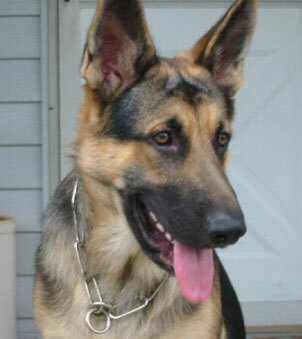 Do you know of a Rescue organization for German Shepherds that needs a little more exposure? If you are part of a GSD Rescue Organization that I do not have listed below, please submit it through this form below and I will add it as soon as possible. All About Pet Rescue: It is our hope to help place each and every one of these intelligent, sensitive, loveable and deserving dogs into new homes where their personalities, potential and distinct German Shepherd qualities will be valued and enjoyed. Just where do these dogs come from, you may ask? Rescued dogs can come from many potential places and for many different reasons. Some are strays or are brought in from shelters. Sometimes owners who no longer have time for them, or develop allergies to them, turn them in to shelters or rescue organizations. Other reasons: change in work schedule, death of a guardian, kids going off to college, new baby, moving to a place where dogs are not allowed, change in "lifestyle," prospective spouse doesn't like dogs, financial difficulties, lack of training by the owners, a retired military dog, etc. Many times, these dogs are turned in not because of any problems the dog has, but rather because of problems with the person surrendering the dog. Breed-specific rescues are a truly a great place to find the right dog for you. Not only do these rescued German Shepherd Dogs appreciate the love and nurturing they receive at the hand of their new owners, but it is true that these rescue dogs often bond so deeply with their new owners that they will do anything to please their new masters. Maybe you can't rescue a dog yourself right now. If that is the case, please support these wonderful organizations - consider giving a donation of money or time. Do you, a family member or friend feed your dog Purina brand dog foods? You can also donate those paper Purina weight circles that can be redeemed for food for rescue organizations. They are both needed and appreciated. And best of all, you are saving a life - one that will love you for the rest of it's life. If you have done the research and feel a GSD is a good fit for you and your family, then please consider adoption through a rescue or animal shelter - maybe at one of the Rescue Centers listed below.